This is the first workbook to highlight the image processing capabilities inherent in ArcGIS software. Designed to complement remote-sensing textbooks in an undergraduate curriculum, this workbook teaches students image processing and analysis skills with ArcGIS 10.1 for Desktop. Making Spatial Decisions Using GIS and Remote Sensing: A Workbook uses step-by-step instruction, guided activities that reinforce learned concepts, and independent projects that encourage students to solve problems using local data. Landsat imagery and other data accompany the book on DVD. A 180-day trial of ArcGIS 10.1 for Desktop Advanced software is also included. Instructor resources are available. November 2013. ISBN: 978-1-58948-336-1, 288 pp., US$79.95. 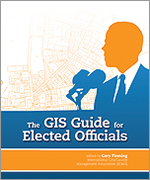 The GIS Guide for Elected Officials is a valuable resource for government officials who want to better understand how to use GIS technology to answer location-based questions. The use cases in the book show the wide range of problems GIS can help solve, including determining potential markets for a start-up business, responding to the needs of a community during a disaster, and identifying urban food deserts. Designed to enable governments to learn from the experience of others, this volume also includes a review of what it takes to build and maintain a strong GIS program in light of rapidly changing technology and shrinking government budgets. January 2014. E-book ISBN: 978-1-58948-353-8, Print ISBN: 978-1-58948-272-2, 212 pp., US$19.95. 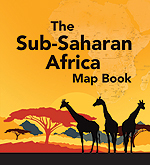 The Sub-Saharan Africa Map Book illustrates how GIS technology is currently being used in Africa to manage economic instability, social conflict, health care, conservation planning, and global warming. The maps feature the work of geoscientists throughout the region and cover a wide range of topics, such as managing rangeland in Senegal, forecasting climate change in Nigeria, and conserving wildlife in Kenya. December 2013. ISBN: 978-1-58948-338-5, 96 pp., US$24.95. Check out the Esri Bookstore app to access free and for-sale Esri Press e-books at esri.com/bookstoreapp. 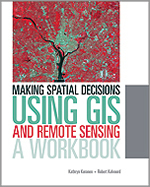 For information on all Esri Press books, visit esri.com/esripress.